This cape cod style home has alot to offer with 3 large bedrooms which all have hardwood floors and a large living dining room area with woodburning fire place and built in book shelves. This home features 1st floor laundry, full bath and bedroom! Plenty of closet space and additional storage in the attic. 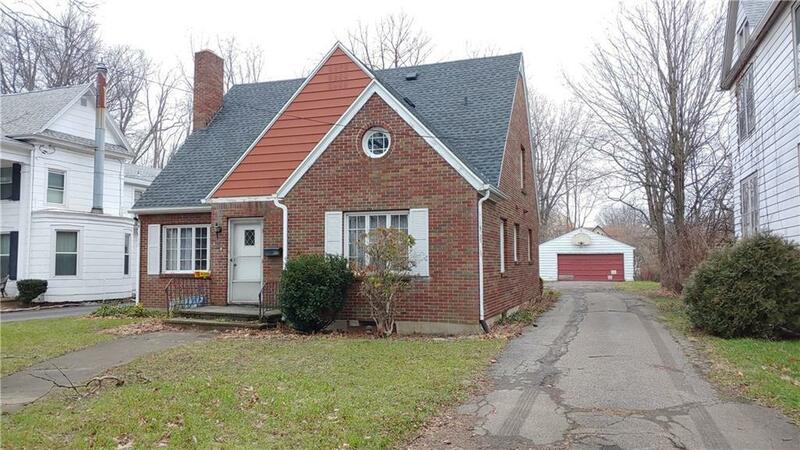 Newer roof, large driveway, detached 2 car garage and brick siding are just a few exterior features. Needs minor TLC and some updating inside. Estate Sale, sold as is. Directions To Property: Central Ave Or Main St To Sixth Street, Turn Right On Washington, House Is On The Left.